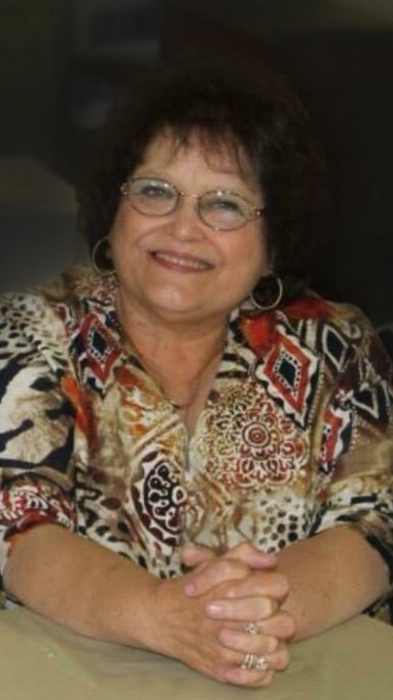 Judy Faye Alkire, 69, of Dawn MO passed away Sunday, April 15, 2018 at St. Luke’s Hospital North, North Kansas City MO. Judy was born in California MO on November 15, 1948, the daughter of Delbert David Murphy and Edith Mae Anderson Murphy. She was a graduate of California High School and attended Trenton Junior College, Trenton MO. She was a bank loan secretary retiring from First National Bank of Carrollton MO after 31 years. On September 2, 1967, Judy married the love of her life for over 50 years, James Wilbert Alkire, at Mt. Olive Baptist Church, Shafter MO. He survives of the home. Judy was a life-long member of Main Street Baptist Church in California, MO. She was a very kind person and never had a bad word to say about anyone. She loved life and enjoyed visiting with anybody she met. She adored spending time with her family, especially her grandchildren, quilting, reading books and her sister outings. She was a wonderful cook and it was very important for Judy to have her family together for holidays and Sunday dinners. Her family adored her and enjoyed spending time with her always. She was the rock of her family and will be sadly missed. Judy was preceded in death by her parents; twin sister Ruby Mae Mills and brother-in-law Jerry Mills. Funeral services will be held at 10:00 a.m. on Thursday, April 19, 2018 at Heritage Funeral Home, Chillicothe. Burial will be at Haseville Cemetery, Haseville MO. A visitation will be held from 5:00 until 8:00 p.m. on Wednesday, April 18, 2018 at Heritage Funeral Home. Arrangements are under the direction of Heritage Funeral Home, Chillicothe MO.